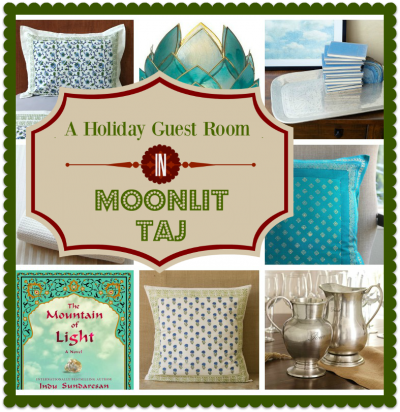 Do you have someone special coming to visit and stay over the holidays? A close friend? Or a daughter home from college? Or a special relative? Then surround them with the white and gold decadence of Vanilla Glacé curtains, bedding and gorgeous comforts for the home away from home. 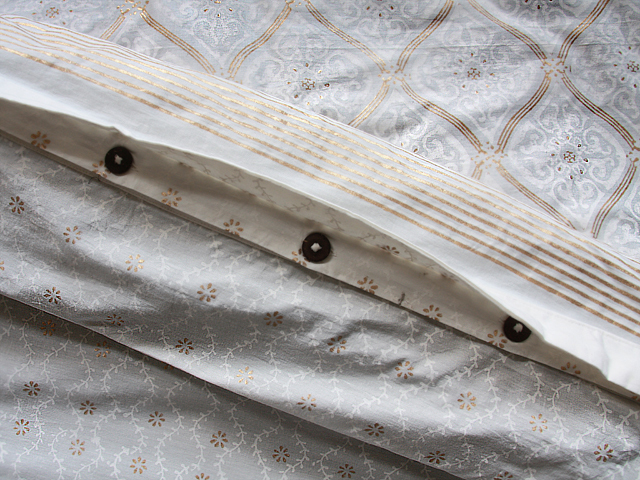 The stunning duvet is two in one, with the snowflake motifs on one side and a coordinating filigreed scrolling pattern in white and gold on the other! 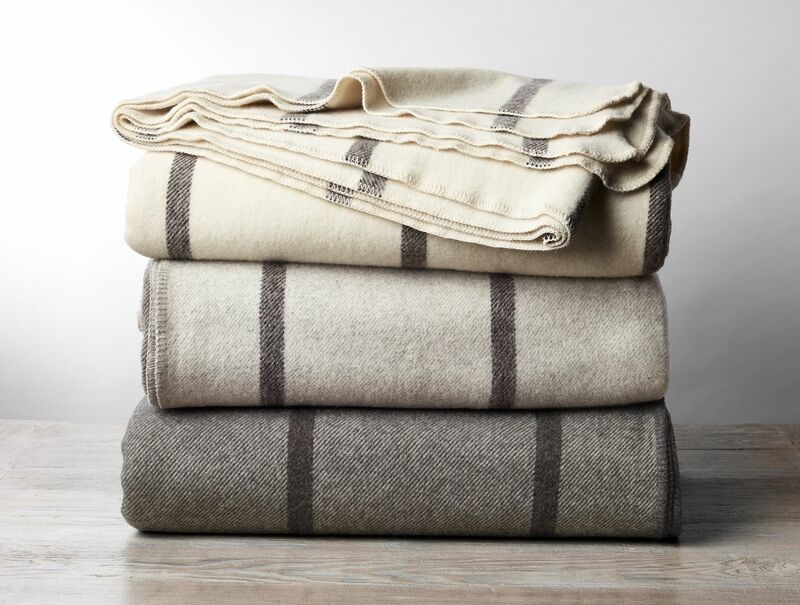 Take the luxe factor up a higher notch with this incredibly soft wool blanket, made with wool produced and colored in the USA. It is crafted and finished by a 4th generation weaver! With lustrous gold orbs patterned delicately on pristine white, this print from within our Dreams of India collections is just that – dreamy! 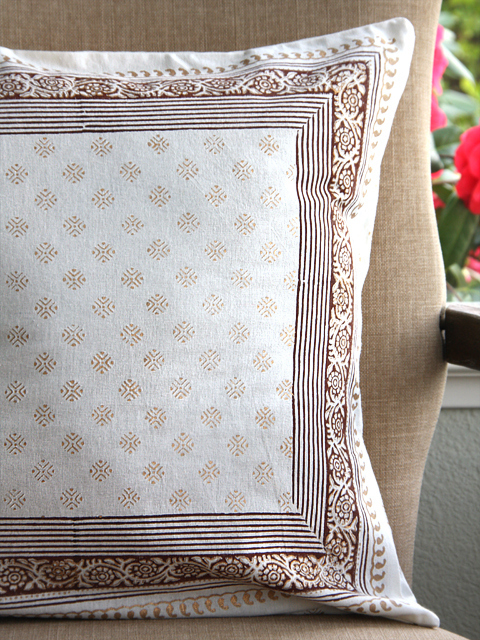 Send your guests off to heavenly dreams with these throw pillows tossed on chairs or the bed. 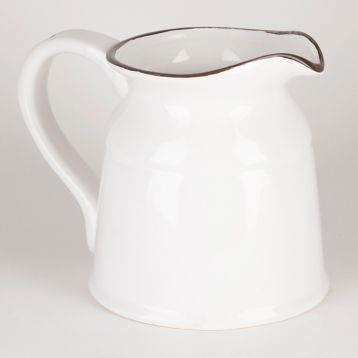 This white ceramic pitcher has a fantastic low and wide shape, easy to hold and so functional. What a beautiful accessory with Vanilla Glacé. 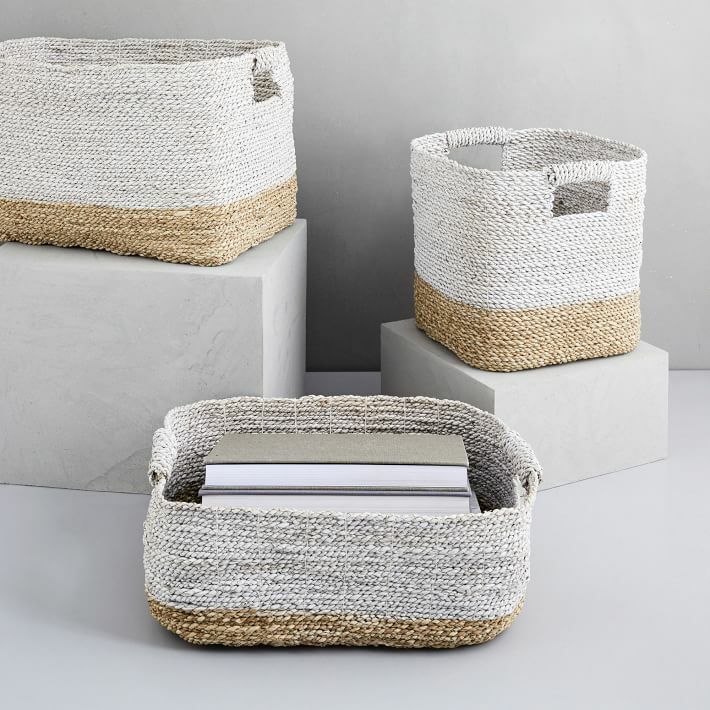 Pamper your guest with these soft, woven baskets filled with goodies. Towels, lotions, oils….anything to make her stay pleasant and comfortable. Transport your guests to a land of dreams spun in white and gold, when you light a long burning soy candle with light, spicy fragrance! 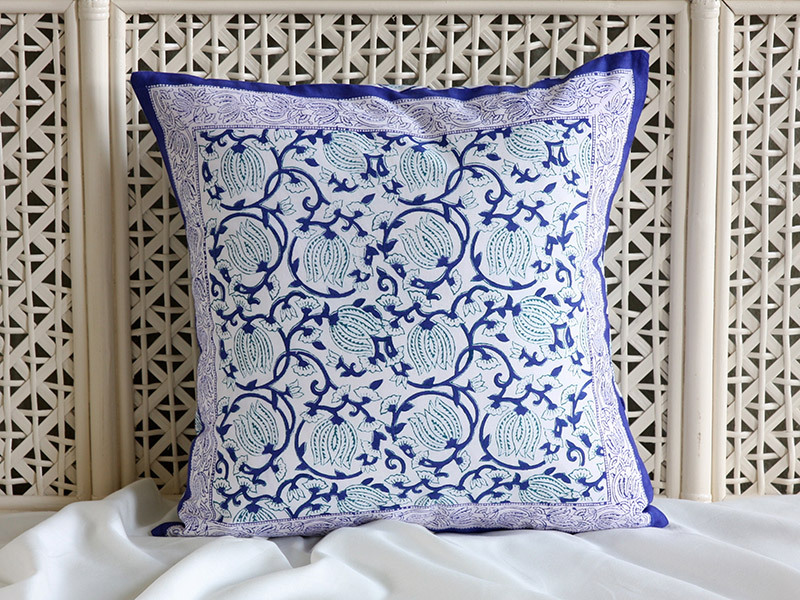 Blue floral pillows will look lovely when placed on the duvet or up against the headboard. There is something about tossing pillows on the bed that makes the bed look so inviting and welcoming! 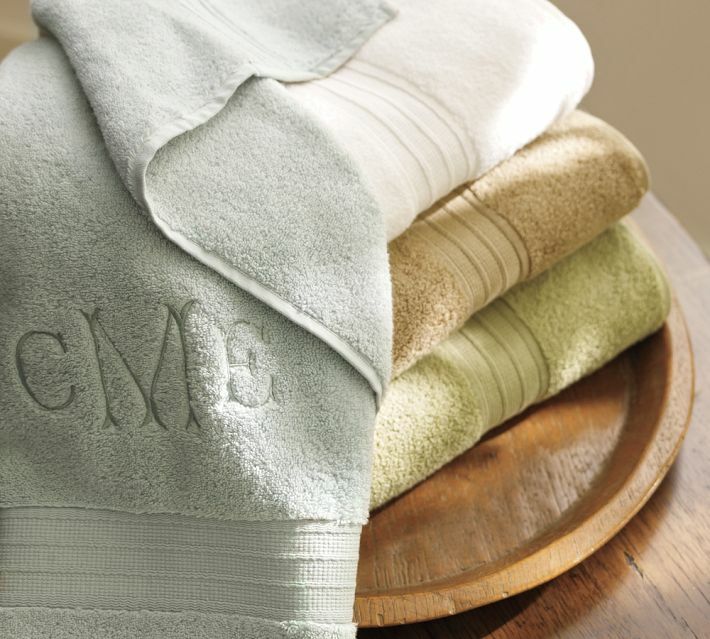 Place a few of these super absorbent cotton towels in the bath for a truly relaxing bath experience. 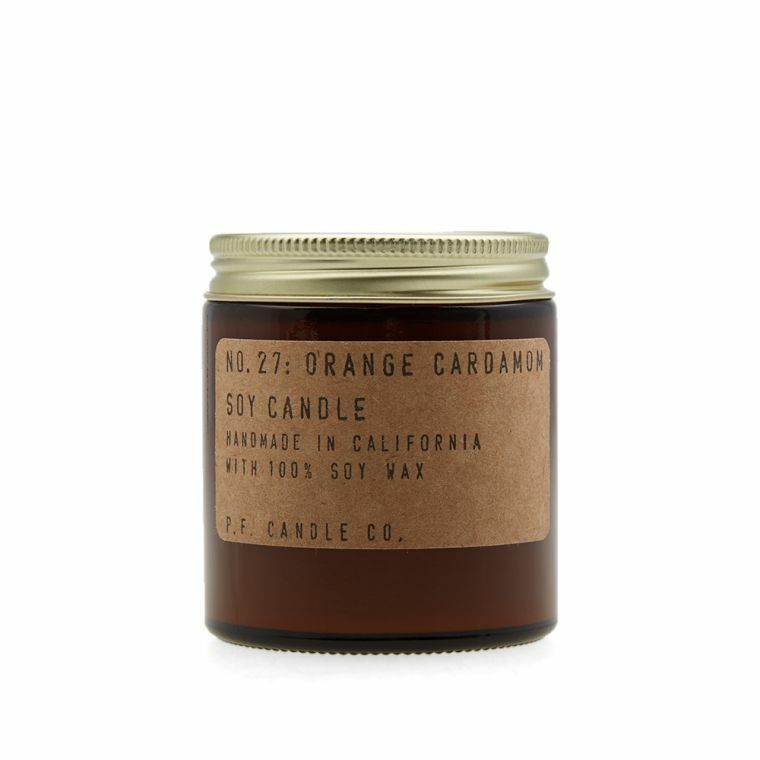 Guests will love a slightly indulgent treat in their space, which can even go home as a gift when they depart. 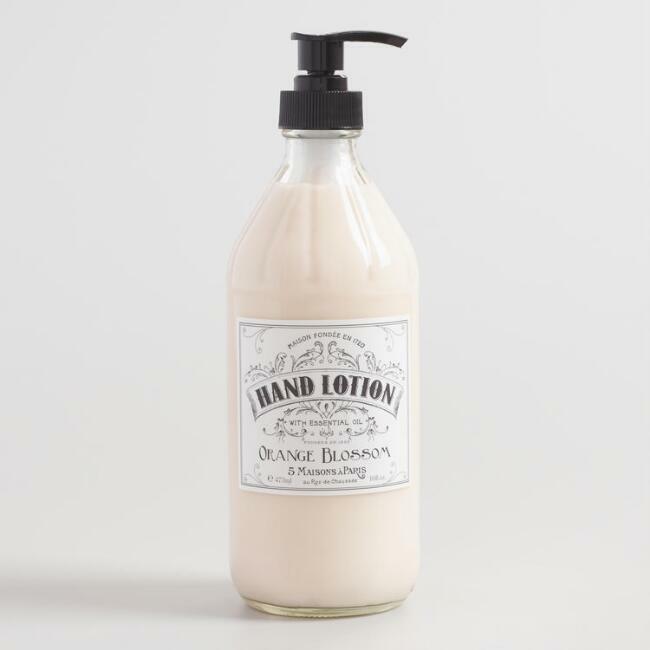 This lotion will leave the skin deliciously soft with a lingering fragrance of orange blossom and essential oils. Compile a list of some favorite local places–restaurants, cafes, museums, antiques shops, movie theaters–and provide timetables, if appropriate, for buses, ferries, or trains. A telephone in the room is a convenience, but not a necessity. Allow your guests an extra key and time to explore on our own instead of planning their visit. Everyone needs time to “decompress” or do their own thing. Searching for the perfect holiday gift? We’ve put together a Decor and Gift guide this holiday season to help with your shopping–for yourself as well as for others! 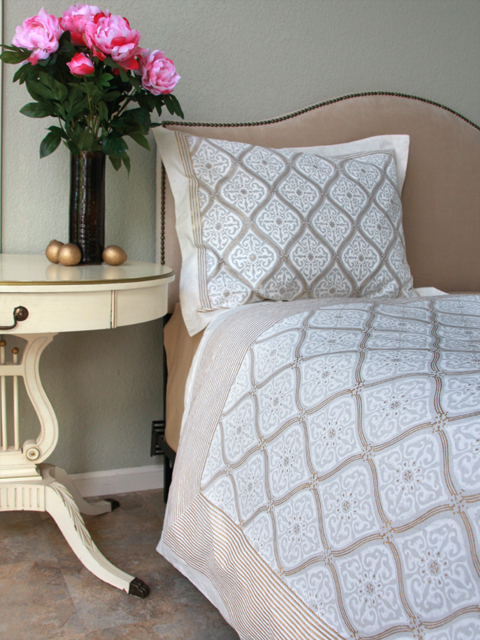 Whisk Them Away – in Your French Moroccan Guest Room! 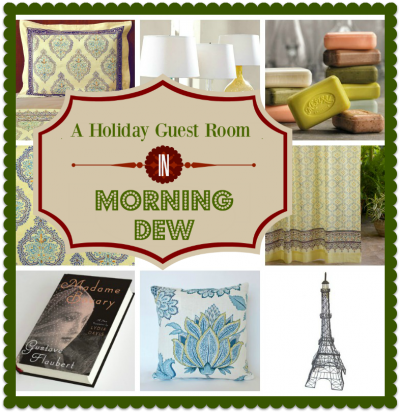 → Whisk Them Away – in Your French Moroccan Guest Room!